Aside from YLSBC’s internal programs, there are various external programs that YLSBC highly recommends its members to join. These programs range from developing speaking skills to moving out of the province and becoming self-dependent. For more info on these programs, please look below. A layout of the program and the categories under it. Youth can also choose the option of becoming a parliamentary page where they would provide various sources to members of parliament such as delivering messages to Members, serve as a link between Members and their Hill offices, answer telephone calls, and make photocopies. This would be an amazing experience for youth as they would be accustomed to do work which adults would normally do and they would be able to gain work experience as well. Youth are offered to take up jobs as guides where they deliver tours to visitors, parliamentarians, and dignitaries from around the world. This is a valuable experience as not only does this develop your speaking skills, but it helps you become more confident and form new bonds with people from different provinces. This is an exciting program where youth can be a part of exciting simulations such as elections simulations to understand how change happens and share their passion for politics and the sense of commitment with other young inspired leaders. They also get to visit the Senate and House of Commons and the Speakers of each chamber as well as the Clerks and Pages. Youth can take initiative by joining a youth council organized by their local MP or even by the Prime Minister. These greatly benefit youth as it provides them with the opportunity to voice their opinions and issues that youth may face. Being on a youth council also helps to make new connections with youth who may have similar ideas, especially in the PM’s youth council. 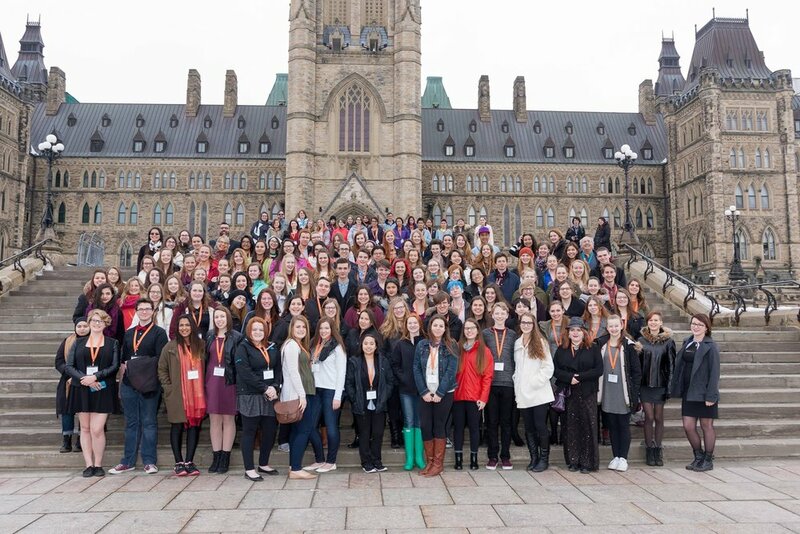 Daughters of the Vote is an amazing program where young women from the age of 18 to 23 can visit the House of Commons and learn about Canada’s political institutions and those women and men serving in them – so that they are equipped and inspired to participate in the formal political sphere in the years and decades to come. They will also have the opportunity to engage with various ministers and advocates. Youth who wish to make a change in their community can achieve this by volunteering at their local MP’s or MLA’s constituency office. Their main responsibilities would be responding to emails and letters, filling out any paperwork and volunteering for events such as Canada day or Easter holidays. Youth who are interested in civic engagement will find this to be an amazing learning experience and they also get to witness the hard work our elected officials do for the community. To know more, contact your local MP or reach out to us.